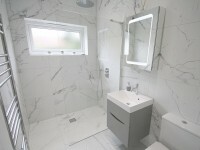 From start to finish we were extremely impressed with the care, courtesy, tidiness, quality and attention to detail that everyone at Seal Homes, in particular Leon, Bradley, Gareth and Darius, gave to our bathroom. 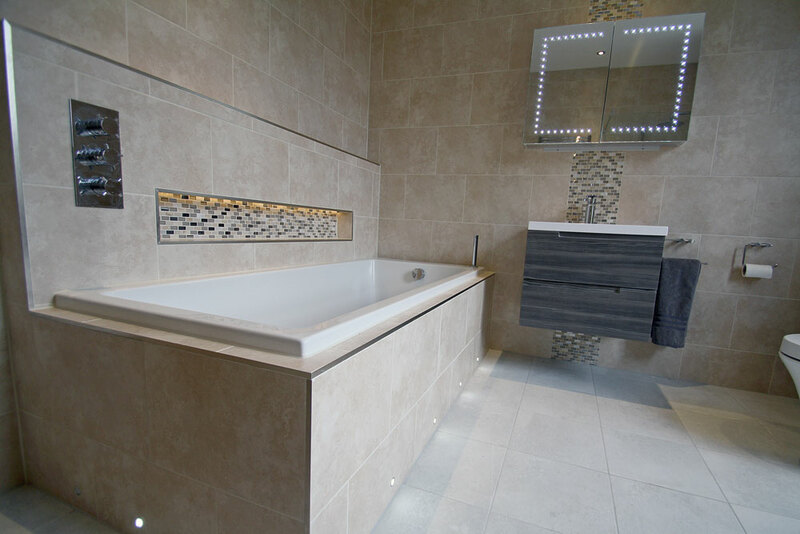 The results are stunning. 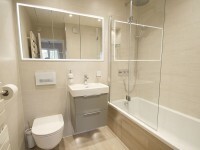 It was a pleasure to have them in our home, and they would be the first call we would make for any work in the future. 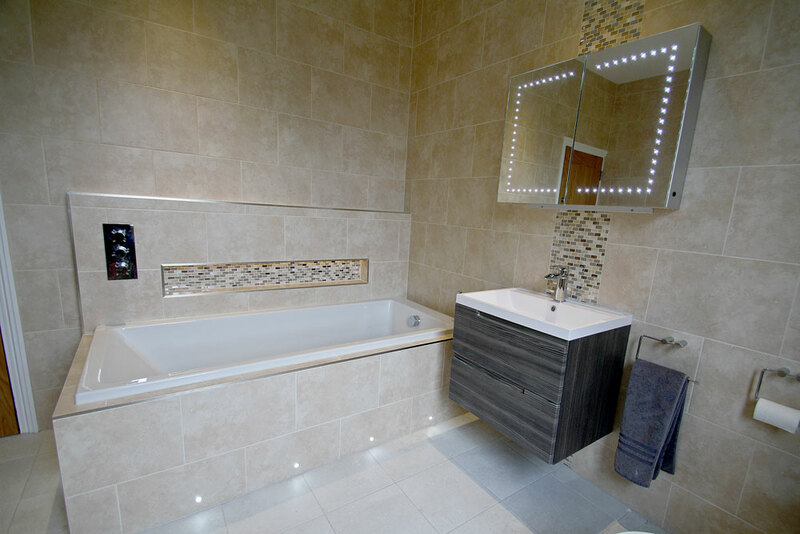 This modern bathroom refurbishment featured illuminated recesses, mirror and sensor activated bath spot lights. 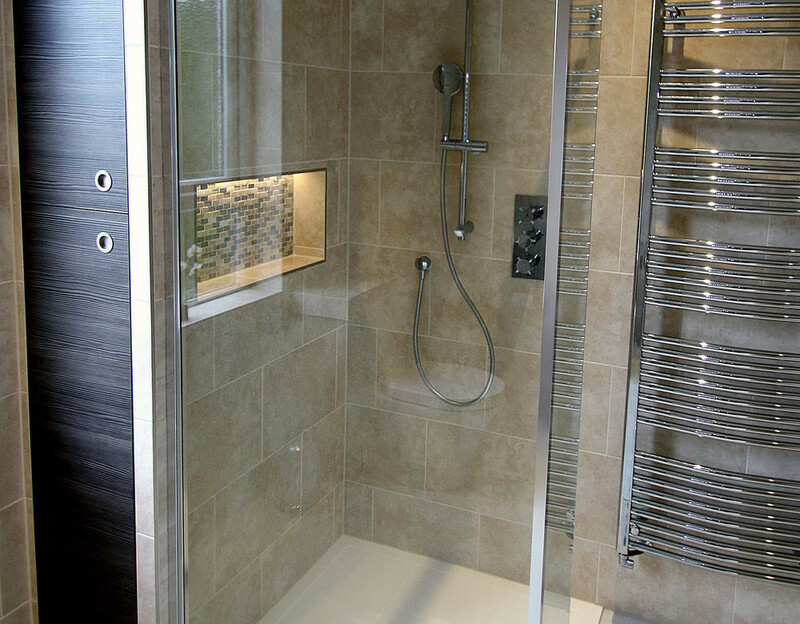 Other modern elements included the recessed valve for the bath filler and bath mounted handset, the walk in shower enclosure also featured a shower handset. 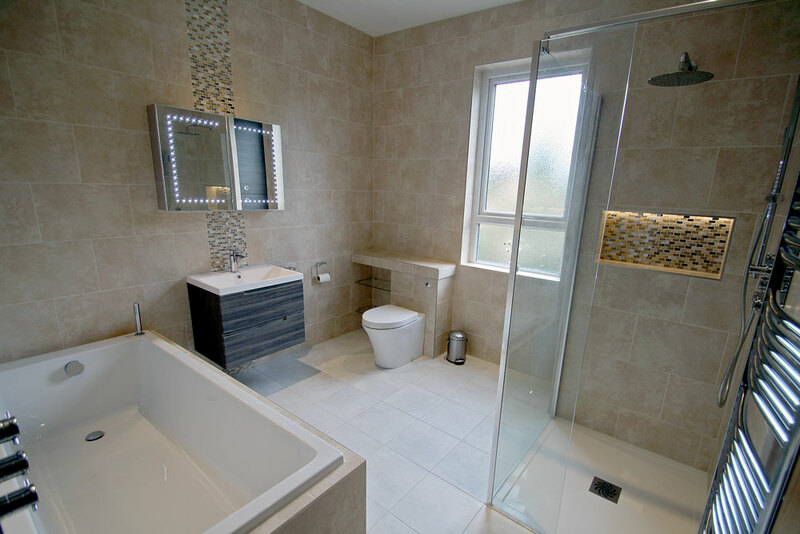 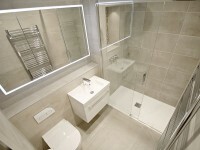 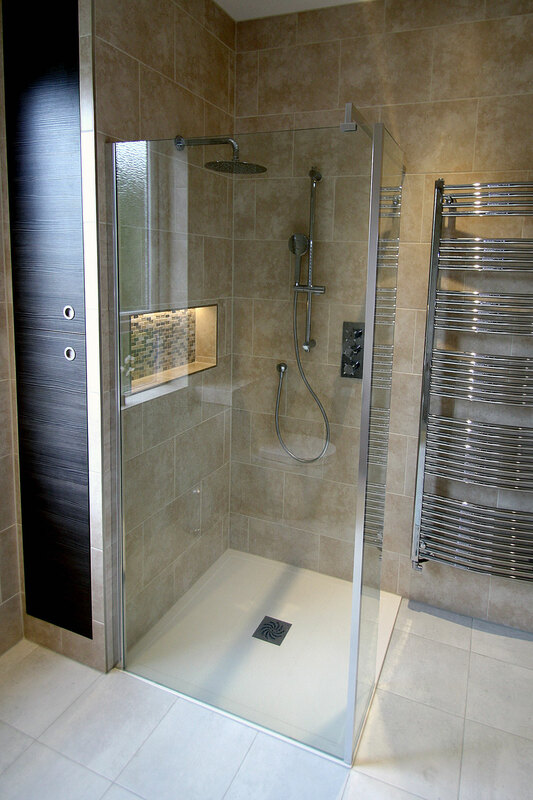 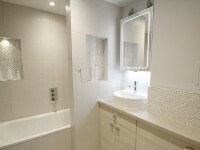 The bathroom was finished with full tiling, a feature panel & recesses and a chrome trim.